Once again the leadership of the Mutual UFO Network (MUFON) is changing. Clifford Cliff, citing a need for more family time, announced that he was handing over the reigns of the organization to David MacDonald on February 1. MacDonald is a current board member and the Kentucky State Director, Assistant Director of Investigations, is the STAR Team Administrator and does the testing of new field investigators. MUFON began as the Midwest UFO Network in 1969 and part of the Aerial Phenomena Research Organization. When then director Walt Andrus moved to Texas, the organization went with him and evolved into the Mutual UFO Network. Andrus directed the organization for decades, finally handing the directorship to John Schuessler. From that point, the leadership passed through several hands, and now is about to be taken by MacDonald. MacDonald is moving MUFON Headquarters from Colorado to Cincinnati, Ohio. MacDonald, who said he was excited about taking over, said that the headquarters would be more easily accessible to the membership. Cincinnati is within six hours of about 60% of the United States. Here is a question that will become increasingly important in the coming years. When does anecdotal testimony become scientific observation? Or conversely, when does scientific observation deteriorate into anecdotal testimony? We have been gathering data in the UFO field for decades (I’m not sure when a real effort began because we have divided everything into periods... The Great Airship of 1897, the Foo Fighters of WW II and the Ghost Rockets in Europe in 1946.) During some of those periods serious scientific investigations were attempted. The Foo Fighters were of intelligence interest during the war and were taken quite seriously by the military according to the good work done by Keith Chester. The Ghost Rockets were investigated by Lieutenant General Jimmy Doolittle in 1946, and the Air Force began a serious look at UFOs in 1948. We have seen, in scientific enquiry where what would be considered in our world as anecdotal testimony has become scientific observation. Back in 1803, French naturalist, Jean-Bastiste Biot undertook a study of rocks that had fallen from the sky. The French Academy of Sciences, just the year before, had suggested that there were no rocks in the sky. Here’s what is significant today. He talked to the witnesses of the falling rocks. These were untrained and unschooled people who had been on the scene when the rocks fell. He didn’t reject what they had to say because he knew that rocks couldn’t fall from the sky. He listened to them and recorded, carefully, what they had seen. He was careful to separate interpretation from the facts. This anecdotal testimony became scientific observation because it had been properly recorded even though the witnesses themselves were not scientists, and often had no formal schooling at all. In today’s world, when we have witnesses to a UFO event, we are quick to dismiss their observations because they are anecdotal. They are not trained witnesses, even when we can talk to them within days of their sighting, even when they have written down what they have seen, and even if there is some sort of independent observations by instrumentality or photography. We argue about the validity of what they have seen because they are not reporting what we wish them to say. But what we saw was that the witnesses, if they didn’t identify the balloons and flares for what they were, described, accurately, what they had seen. They talked about the nature of the lights, meaning they were red and moving slowly. They didn’t, for the most part, talk about anything other than the lights moving through the sky, though one of the witnesses did talk about a strange formation. UFO investigators, called in, immediately identified the lights as of terrestrial manufacture and one police officer even told reporters that the lights were flares on balloons. The point was that the witness testimony, and a careful listening to what the witnesses said, proved that they had been accurate. Trouble emerges when everyone begins to speculate about the nature of the lights... and most of these were reporters who tried to turn the story into something alien. One reporter even asking a child about aliens, when none of the witnesses had said anything about spacecraft or aliens. Yes, I understand that with UFOs we need more than witness testimony, but the real question is why do we reject that testimony by labeling it as anecdotal? At what point can we accept the testimony as something more than the unschooled observations of the rube? And why is it that only that testimony that seems to suggest that the observation was mundane is accepted at face value while that which suggests something strange is rejected automatically? In other words, when does anecdotal testimony become scientific observation? 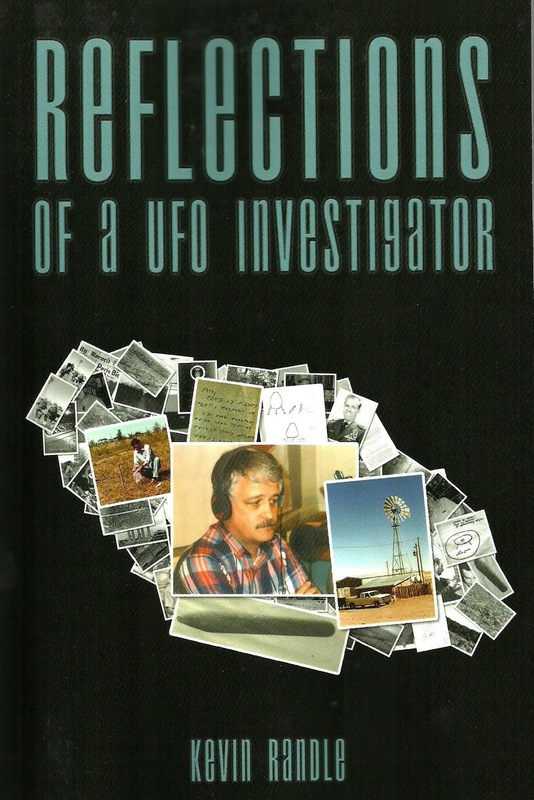 For those keeping score at home, Anomalist Books has just published Reflections of a UFO Investigator, a look at my journey through the world of UFOs. This book begins with my very first UFO “investigation” and ends last spring, just before I left for the Roswell UFO festival. It describes my UFO “sighting” and it talks about some of the surprising things that I learned as I traveled throughout the country investigating UFOs. It explains what led me to some of the conclusions I have reached, and talks about some of the troubles I have had during those searches. For those interested, it is available at Amazon and is an ebook through Kindle and at Barnes and Noble. Yes, this is a commercial announcement, but then you have to learn about the book someway. Give it a look, and I’ll answer your questions about it.